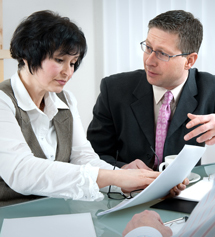 Mediation as an Alternative to Divorce | Michigan Mediation Attorneys | Foster & Harmon P.C. In these tough and trying economic times, an expensive divorce may not be financially possible or desirable. Hiring two Michigan divorce attorneys to battle back and forth can quickly deplete your marital estate, leaving very little for you or your children after the dust settles. With the decline in the Michigan economy, many couples have lost money in their home and retirement plans, usually the two largest assets of the marriage. Spending more to argue over debt simply defies logic and no matter how much you spend on a divorce attorney, the courts cannot provide financial compensation for a bad marriage. East Lansing Mediation Attorneys at Foster and Harmon P.C. 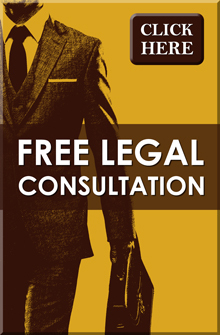 can help with our Mediation Attorney Services! A divorce is handled as part of our legal adversary process. By design, the process pits one side against the other. In general, Divorce Attorneys are trained to be advocates, to “win” the case and “defeat” the other side. The tactics that are used to obtain those results in a divorce are expensive and destructive. Divorce attorneys use a process called “discovery” to prepare their case for trial, which gives attorneys the tools with which to attack the opponent and to gain psychological as well as legal advantage. Depositions (examinations before trial) of friends, family and business associates, production of tons of documents, scrutinizing personal activities, and evaluation and criticism of each spouse’s role as parent, are all part of the tactics used to “win” the case. The theory is that the decision-maker (the judge) has the benefit of the most persuasive argument from each side and the attack by cross-examination reveals the weaknesses of each side’s position. Though this maybe an effective way to make decisions in commercial and criminal cases, it certainly is not appropriate for the troubled family. It pits husband against wife, mother against father and hostility escalates. No one wins! When you add the divorce out of pocket costs, divorce filing fees, divorce case witness subpoenas, divorce court reporter fees and divorce transcripts fees, the cost of the divorce case litigation often exceeds the amount in controversy and wastes hard earned marital assets. Even if you are not preparing to go to trial, communicating back and forth through your divorce lawyers in an attempt to settle the case, results in a significant cost in time and money, and even in such case, each attorney is representing his or her client’s interests in trying to get the best outcome for them. Eventually both sides usually end up going to mediation anyway, in an attempt to settle the case days before they are scheduled to go before the judge for trial, resulting often times in the parties feeling “pressured” into accepting a settlement. For many divorcing couples, mediation has become a practical alternative to the financial and emotional costs of traditional adversarial legal representation. Mediation provides the opportunity to find fair and realistic solutions to the economic and practical issues facing the family. The earlier in the process mediation is used, the more likely a couple is able to avoid the destructive nature of traditional litigation. Mediation is based on the premise that the people getting divorced are in the best position to make decisions that will have long-term personal and financial consequences on their lives, rather than allowing a judge to make those decisions, who does not know your family, nor is vested in the outcome of your case. If you are going through a separation or divorce, the process can be pretty confusing and stressful. When trust has broken down, it helps tremendously to work with a neutral facilitator, or mediator, who can take you through the issues one by one, looking at options. In mediation, we look for choices that might satisfy everyone’s needs. Even if there is tension and anger, mediation can assist you in planning a future that meets your children’s needs and yours. Divorce mediation is a voluntary process where divorcing couples work together with a trained mediator to negotiate and resolve their differences in a non-adversarial divorce process. Divorce mediators can help you and your spouse reach an agreement on all issues including property distribution, alimony, child issues, (custody, shared parenting, child support, etc.). The agreement results in an “uncontested divorce.” Divorce Mediation is less expensive and less emotionally destructive. Mediated divorces have a higher rate of satisfaction and long-range cooperation, and a lower frequency of costly returns to court. However, to be able to successfully mediate, both sides must be willing to participate meaningfully in the mediation process. That means both sides must openly disclose and exchange information about assets, debts and other information necessary to come to a complete resolution. Both sides must be willing to also consider the needs of the other party and be willing to compromise on some of their own issues. The process focuses on the future, rather than the past. For more information on using mediation as an alternative to divorce, please contact the East Lansing Mediation Law Firm of Foster and Harmon P.C. for a free initial telephone conversation at 517-337-4600. Our East Lansing Mediation Attorneys are available evenings and weekends if needed. Please contact us for more information, including the fees for this service. Michigan Mediation Attorneys at Foster and Harmon P.C. have many years of experience dealing with mediation and family law.